John Caudwell and Veronica Hughes visited Public Health England’s scientific campus at Porton Down in Wiltshire, including a tour of the Rare and Imported Pathogens Laboratory (RIPL) where the specialist Lyme disease testing for England and Wales is carried out at the request of NHS doctors. We met Professor Derrick Crook, Director of PHE’s National Infection Service, Dr. Tim Brooks, Head of PHE’s Rare and Imported Pathogens Laboratory (RIPL) and Dr Amanda Semper, who is the laboratory‘s Scientific Programme Manager. Also present were Dr Christine McCartney from NIS, Alex Sienkiewicz, PHE’s Director of Corporate Affairs, and Sarah Kennedy, from PHE communications. We know that Lyme disease patients have a great many questions they would like to have answered regarding Lyme disease testing. Most testing is requested by doctors in the NHS from their local hospital laboratory and PHE provides a national specialist service as requested. We tried to cover as many questions as possible, and we have listed the answers below in summary form. This account is simply a summary of what was said that day, and does not contain a summary of opposing views, or the opinions of Caudwell Lyme Disease on the issues discussed, except where explicitly stated. RIPL uses commercial ELISA and western blot (immunoblot) tests that have had their sensitivity and specificity evaluated by the manufacturer, by RIPL and by independent researchers. Like all PHE and NHS laboratories, RIPL selects commercial tests based on peer-reviewed data whenever possible. They are commercially produced and sold kits that are certified to comply with consistent standards and European legislation. RIPL carries out further validation of chosen tests to confirm that they perform as well as, or better than, specified by the manufacturer. RIPL has a legal obligation to demonstrate that the commercial tests it uses are the most reliable available for the purpose of detecting antibodies specific for the Lyme disease pathogen. RIPL is one of about 75 Lyme disease testing laboratories across Europe which participate in an External Quality Assurance programme. These laboratories regularly cross-check their testing of Lyme disease samples to ensure consistency of results from laboratory to laboratory. RIPL have excellent results in these comparisons. RIPL’s Lyme disease testing is fully automated. This means every test sample is processed, and the result then read objectively, by a machine. This reduces the possibility of variation due to human factors. We were invited to visit the laboratory to see the equipment in process and some western blot samples, which to us appeared very similar to those we had seen at ArminLabs and at BCA Lab, both in Germany. RIPL is one of about 75 Lyme disease testing laboratories across Europe which participate in an External Quality Assessment (EQA) programme. PHE perform well within this assessment scheme. These laboratories blind cross-check their testing of Lyme disease samples to ensure consistency of results from laboratory to laboratory. All of this leaves the major question: why do so many people who have symptoms consistent with Lyme disease get a negative test result for Lyme disease from RIPL and then a positive one at a private, overseas laboratory? Based on data from 2014, we have found that the samples sent to RIPL have a positive rate of around 8%, whereas the private laboratories in Germany have a positive rate of close to 50%. GPs in the UK sometimes send their patients to have blood drawn in the first weeks after a suspected tick bite, when the antibodies have not had time to form. This results in a high likelihood of a negative result, even in infected patients. The usual rule of thumb is that antibodies form after by 6 weeks (unless the patient is treated empirically with antibiotics in that time period) but in some cases, antibodies may form within three weeks. When reading a western blot, grey or black lines are visible and the shade indicates a positive or negative result. At RIPL, these lines are read by the machine but in some laboratories, it can also be interpreted by a technician. The RIPL machine is calibrated at the setting defined by the manufacturer. A key difference between RIPL tests and those used by private labs in Germany, is the methodology used. Results from these different tests cannot be reliably compared. Further independent research is needed to determine the relative diagnostic value of these different tests. RIPL is aware of some problems in gathering data and in conveying results to NHS clinicians. We touched upon various issues during the day. It takes between 3 and 6 weeks for the average person to form antibodies to Borrelia burgdorferi, the bacteria that causes Lyme disease. If patients are treated during this time period with antibiotics, they may not develop antibodies at all. If blood samples are taken within 6 weeks after being infected, there is a very good chance the test will be negative. Many GPs do send patients for testing within this time frame without realising the issues surrounding antibody formation. If the test is negative, RIPL advises doctors to order a repeat test after this time period has passed. Not all doctors do so. Caudwell Lyme Disease encourages patients to insist that their doctors order a repeat test in this situation. When RIPL receives a sample, it is not always accompanied by any clinical information on the patient. Data on when the patient first developed symptoms, when they think they may have been bitten, whether or not they have an EM rash, and other symptoms, for example, would not only enable RIPL to make more useful interpretations of the test results but also build up better epidemiology data. This data should be recorded by the GP, or by the medical professional who orders the Lyme disease test, and sent to RIPL via the local hospital which then forwards the sample. 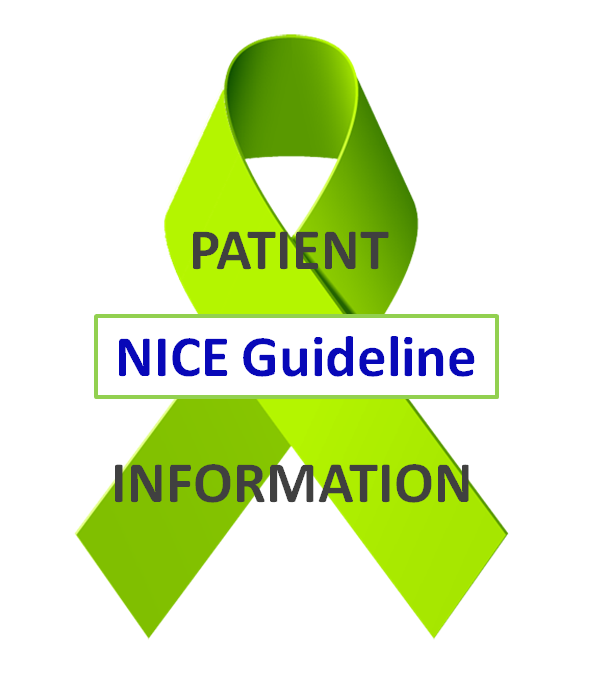 Again, Caudwell Lyme Disease encourages patients to urge their doctors to collaborate with RIPL in supplying detailed patient information. When RIPL reports Lyme disease test results, the caveats associated with the testing are always incorporated. This sometimes goes into detail on how results are interpreted, what an equivocal result may mean, and other information useful for the treating doctor. This is then forwarded electronically to the NHS pathology service which ordered the test. Different services use different computer systems, and some of them will strip out some or all of this written interpretation, and forward nothing but a simple positive or negative result to the NHS clinician. Doctors can telephone RIPL to gain access to full details regarding interpretation of the test, and patients are encouraged to ask their GP to do so if they have any doubts about the results of their Lyme disease test. We discussed some research that could result in deeper insight into the testing discrepancies. Dr. Tim Brooks pointed out that a test could be evaluated more thoroughly by testing well-characterised patients at all stages of Lyme disease infection, to see what different results were achieved. To compare results between RIPL and private laboratories, parallel sets of samples would have to be tested using all the tests available in each lab. Carefully defined and selected control groups would also need to be included. Are there other tests that could detect a Lyme disease infection at other stages in its development? Possibly. Are there other infections that could cause the same symptoms? Definitely. Does our Lyme Disease testing at RIPL detect what it is supposed to? Yes. We also discussed other issues surrounding Lyme disease, interesting research findings, and areas where further research might produce useful results and help to build the evidence base. We mentioned the expertise of Dr. Brian Fallon of Colombia University, New York City, who has carried out a lot of research into the effects of long term antibiotics. Dr Tim Brooks advised that antibiotics can have many effects, which include modulating the immune system and reducing inflammation. Tetracyclines (including Doxycycline and Minocycline) and macrolides have been noticed to be particularly effective at reducing inflammation. If antibiotics cannot cure some cases of Lyme disease, this phenomenon may explain why many patients feel better while on antibiotic therapy and then rapidly deteriorate again after antibiotics are stopped, regardless of whether they have been taking them for short or for long periods of time. Further research into the effects of long-term antibiotic therapy, for Lyme disease patients who do not recover after short-term antibiotics, is sorely needed. So far, little research has been done, and a lot of it has been poorly designed without appropriate or suitably defined control groups. We also discussed the research of Dr. Alan MacDonald, who has biopsied the brains of a number of Alzheimer’s patients and found them to contain spirochetes. On this basis, he has formed a very interesting theory that Borrelia burgdorferi (the spirochaetal bacteria which cause Lyme disease) may also be causative of Alzheimer’s disease. Tim Brooks explained that this theory could be tested by taking a far larger collection of biopsy samples from Alzheimer’s patients’ brains and an equally large control sample from healthy brains. Suitable testing would be necessary, ideally PCR (testing which would look for Borrelia burgdorferi DNA). If the FISH system of testing (Fluorescence in situ hybridization) were used to establish that any spirochetes detected were indeed Borrelia burgdorferi, one could prove some kind of association. This would not necessarily be proof of causality, however. In other words, the presence of the Borrelia spirochetes could be coincidence. To demonstrate that they were more than innocent bystanders, one would need a theory explaining how they might cause Alzheimer’s disease, which could then be objectively tested. The NHS is responsible for commissioning services including those for infectious diseases such as Lyme disease. PHE does not directly provide clinics and is not a commissioner of healthcare services. PHE offers specialised testing and laboratory support for the investigation of Lyme disease, and will be working with NHS partners to develop these services further. PHE supports the concept of a specialist network for the investigation and treatment of complicated infectious diseases and persistent symptoms attributed these diseases. PHE identified the Medical Research Council (MRC) as the appropriate body to approach regarding further research on Lyme disease. We wish to thank all the staff at the Rare and Imported Pathogens Laboratory for their very generous welcome, and for kindly and patiently explaining so many aspects of their complex work to us.